The Toyota Prius was the top-selling car model in Japan in 2016. It was followed by two further Toyota cars: the Aqua and Sienta. The Honda Fit slipped to fourth while the Nissan Note was the fifth most-popular car in Japan in 2016. Six of the top ten best-selling car models in Japan in 2016 were Toyotas. Note: JADA figures exclude mini (Kei) cars. The Toyota Prius regained its position as Japan’s favorite car model in 2016. 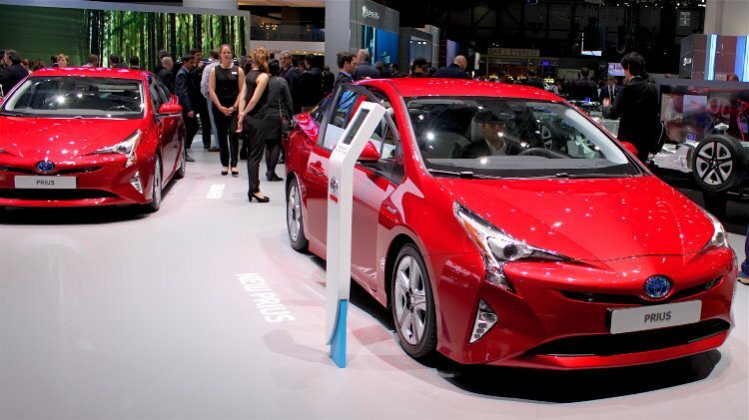 The fourth generation Prius was launched in Japan in December 2015 and in 2016 sold nearly double the number of cars that were sold of the previous generation in 2015. The Toyota Prius was the market leader in Japan from 2009 to 2012 but then fell behind the smaller Agua. The Toyota Aqua – another car only available as a hybrid in Japan – fell from top position to second with sales down by a fifth. The Aqua was the best-selling car model in Japan from 2013 to 2015. The Toyota Sienta improved from tenth last year to third most-popular car model in Japan in 2016. Sienta sales nearly doubled from a year ago. The Honda Fit, for nearly a decade a regular in the top three, fell to fourth best-selling car model in Japan in 2016. The Fit narrowly stayed ahead of the Nissan Note that remained in fifth place with slightly better sales than a year ago. The Toyota Voxy similarly remained in sixth spot with sales in Japan in 2016 almost unchanged from a year ago. Sales of the Toyota Corolla were down by a fifth and thus Japan’s ever green small sedan slipped from fourth a year ago to 7th in 2016. Honda Vezel sales were slightly stronger and allowed the small crossover to improve one rank position. Nissan Serena sales were up by nearly a fifth and good enough to improve two rank positions in 2016. The Toyota Vitz rounded out the list of ten best-selling car models in Japan in 2016. The Vitz slipped from seventh a year ago. The Mazda Demio slipped out of the top-ten list – from 8th to 12th. New cars on the list of the top 30 best-selling car models in Japan in 2016 were the Honda Odyssey, Subaru Forester, Suzuki Ignis and Toyota Land Cruiser. Toyota was again Japan’s largest carmaker in 2016 with sales up in a slightly weaker market.